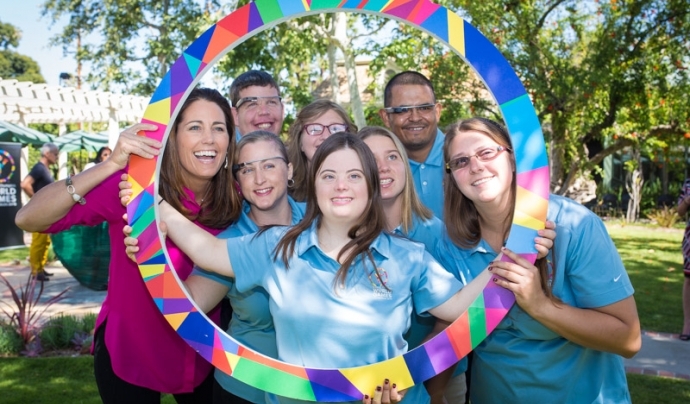 For 50 years, the International Special Olympics have been building a movement to break barriers in the sports, health and education world, through the power of sport. The aim is to eliminate the discrimination that exists behind people with intellectual disabilities and recognize the athletic potential of this community. But without the tragedy suffered by a member of the Kennedy family with intellectual disabilities, this movement would never have begun. Eunice Kennedy Shriver, one of the sisters of John F. Kennedy, founded the 'Special Olympics'. Part of her inspiration came from a less-recognized member of the Kennedy family: her older sister, Rosemary, born in 1918. At that time, intellectual disabilities were little understood and stigmatized by a society that viewed this group in a shameful and different way. In the early 1960, a woman, who was aware of the involvement of Eunice with people with intellectual disabilities, asked for help because her son had been rejected in a summer camp for 'mental retardation'. It was at that time when Eunice created her own camp and established it in Timberlawn, a property of Kennedy in Maryland. This camp was called 'Camp Shriver'. For four years, he invited children with intellectual disabilities, recruited local high school students as professional monitors and provided them with training and recreational activities. In this way, children who had been excluded from other camps thrived in this environment. Eunice continued to expand her camp and, finally, evolved towards the 'Special Olympics' we currently know. This year, the 'Special Olympics' are held in Catalonia and Andorra in October. "They are one of the most important international events for sportspeople with intellectual disabilities. They only take place once every four years and this year in Catalonia reach the eleventh edition, "stresses the coordinator of foreign delegations, Marta Jové. In October, 1.500 athletes from all over the world will participate. Apart from Andorrans and other Spanish delegations, the Games will have the participation of 13 other countries (Belgium, Monaco, Denmark, Hungary, Switzerland, Austria, India, Germany, Sardinia - in representation of Italian, Morocco, Finland, Portugal and San Marino). The President of Special Olympics Catalonia, Sergi Grimau, explains that the Olympic Games of Barcelona '92 were the starting point for the participation of sports people with intellectual disabilities. "They were a qualitative and quantitative leap in the number of athletes and in the level of play: they went from approximately 800 Catalan athletes to 3,000, a figure that has continued to grow and 6 sports modalities at 16 that are now practiced "Says Grimau. In short, the movement of 'Special Olympics' has created the sports community for people with the greatest intellectual disability in the world, helping to improve the health, self-esteem and confidence of each participant.